We at Plain-t-shirts.co.uk offer a wide choice in our kids 100% cotton polo shirt collection which includes all the best brands like AWD, Stars & Stripes, Fruit of the loom, Bella and many more all made from 100% cotton cotton for kids. Our 100% cotton polo collection in our children polo shirt range include many colours and sizes to choose from which we offer for next or following day delivery for all the clothing. The kids cotton polo range which we have on offer at Plain-t-shirts.co.uk are durable and well made and ideal for all kinds of printing or embroidery if you wish to use 100% cotton polo clothing. Our prices are wholesale for cotton pique top. 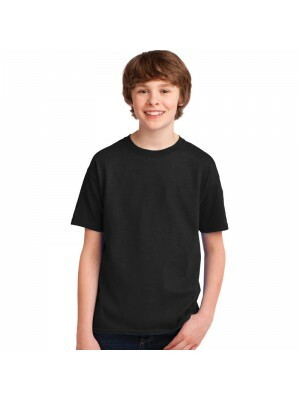 This is a plain kids T-Shirt by Stars and Stripes comes in 8 standard colours and has been made using twin needle stitching. This allows the material to be durable and reinforced. This great material also allows the t-shirt to be considered for ..
We at Plain-t-shirts.co.uk offer a wide choice in plain 100% Cotton range which come in a range of colours for fast delivery all over UK/EU KIDS DIAGONAL STRIPE HOUSE PIQUE POLO SHIRT which we offer are ex stocked item from our London warehouse. This..
We at Plain-t-shirts.co.uk offer a wide choice in plain KIDS SPORTS PIQUE POLO range which come in a range of colours for fast delivery all over UK/EU SHIRT which we offer are ex stocked item from our London warehouse. This plain product is made from..
We at Plain-t-shirts.co.uk offer a wide choice in plain T-Shirt range which come in a range of colours for fast delivery all over UK/EU Long Sleeve which we offer are ex stocked item from our London warehouse. This plain product is made from durable ..
We at Plain-t-shirts.co.uk offer a wide choice in plain T-Shirt range which come in a range of colours for fast delivery all over UK/EU Stretch which we offer are ex stocked item from our London warehouse. This plain product is made from durable qual..
We have been in the t shirt business and based in London for the last 25 years. As a family run business you can be assured of a family service with commitment to quality service guaranteed.